Former Wallaby flyhalf Matt Giteau has signed a two-year extension to his contract with big-spending French Top 14 side Toulon. 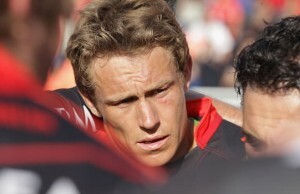 Former England fly half Jonny Wilkinson kicked Toulon to a 14-22 Heineken Cup Pool 6 victory over Cardiff Blues at Cardiff Arms Park. 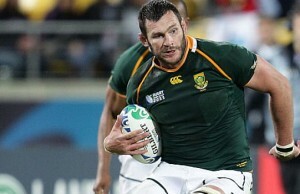 Former Springbok and Bulls loose forward Danie Rossouw has agreed to join French Top 14 Rugby Club Toulon from February next year. 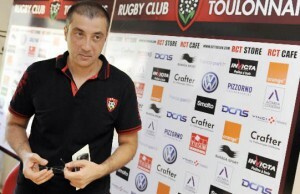 Toulon moved back to the top of the French Top 14 standings when they comfortably beat a misfiring Biarritz 36-9 on Saturday. 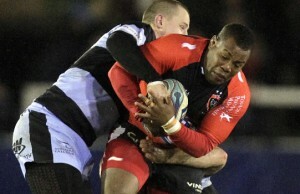 Toulon stretched their winning streak in Top14 Rugby to five matches this season when they beat Montpellier 32-25 on Friday evening. Former All Black and Blues utility back Rudi Wulf has agreed to re-join Top 14 Rugby Club Toulon and has signed a three-year contract. Toulon qualifed for the French Top 14 semi-finals after a tense, come-from-behind 17-13 play-off win over Racing Metro on Saturday. Toulon brought an end to Harlequins time in the Amlin Challenge Cup with a 37-8 victory at Stade Felix-Mayol in Toulon France. Toulon's English fly-half Jonny Wilkinson says he is wary of Premiership leaders Harlequins which the French club will meet Friday in the Challenge Cup quarter-finals.